Everyone knows smokers are at a much higher risk of getting cancer, lung disease, and emphysema; which is why pretty much everyone tells you not to smoke cigarettes. However, they’ re extremely addicting and some people just cannot stop. If you’re one of those people that can’t put down the cig, at least try to reduce your risks! There are several things that can help clear and expand your airways! However, these will not fully clear your lungs of all the crap you’ve ingested from cigarettes, but they will help rid your lungs of a majority of toxins, greatly reducing your risk for disease! Corn contains beta-cryptoxanthin, which is a strong antioxidant that will help protect the lungs. Keep in mind, most packaged corn you find will be genetically modified, so try to find organic! Selenium is also a powerful antioxidant which can be found in various types of fish, such as:. that garlic is 100x stronger than the best pharmaceutical antibiotics on the market! or use it to add flavor to any of your meals! Check out this guide to using ginger as a detox! be quite effective against lung cancer. This herb is loaded with iron and is a useful disinfectant and great at fighting infection. 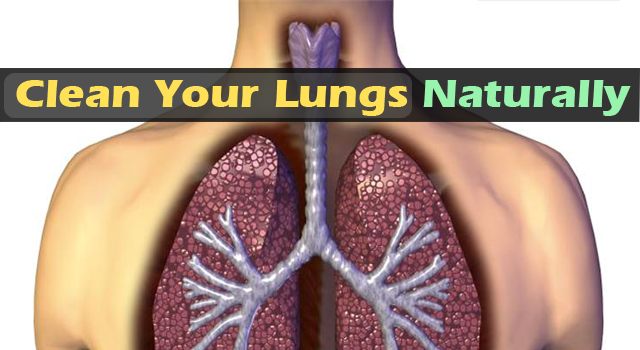 helpful aid in lung health!